The best way to hit for power (hit more doubles and home runs) and hit for a high batting average is with our Multi-Swing Method. 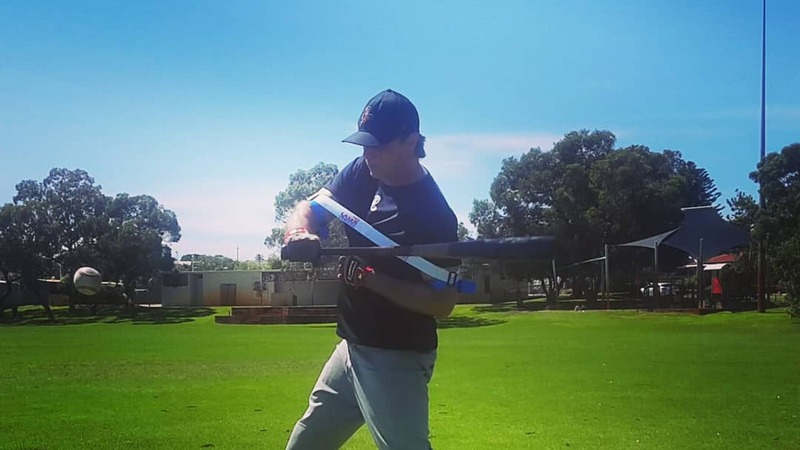 Inventor of The Laser Power Swing Trainer; Clinton Balgera created the Multi-Swing Method to train players to hit for power and a high batting average. Check the batting stance is engaged for power, weight on inside balls of the feet, hands and arms relaxed. Check the stride… Length (is the stride it too long?) and speed (is the stride too fast?). 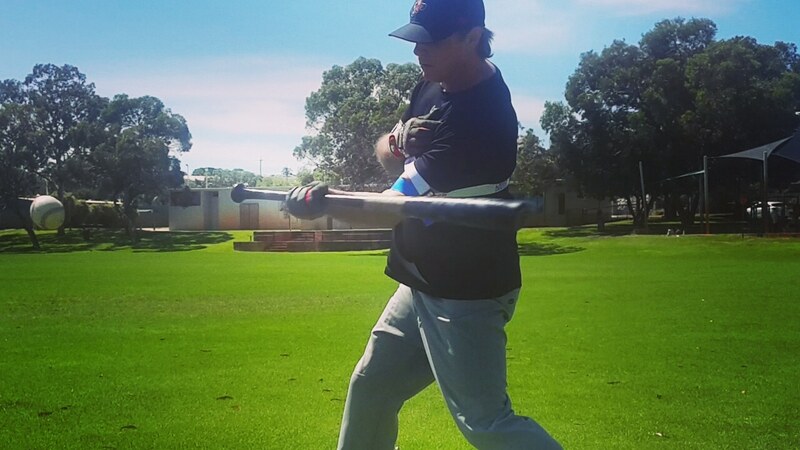 Evaluate weight distribution throughout the entire swing, is the hitter falling off balance at any stage of the swing? See if there is any dip in the back shoulder of flying open, generally caused by poor rotational mechanics (see next point). Watch for back foot rotation, make sure the player is turning the back foot from their hips and not from their knee. Coach should be sitting in a chair or kneeling on one knee. Deliver the baseball with a deliberate underarm motion, this is used to help the hitter with timing and rhythm. As the coach begins his backward underarm motion, the hitter begins his load phase. If the coach rushes the delivery, the hitter will not have enough time to get set and ready to hit. Mix up locations. Tossing to the back knee (replicates hitting the ball deep in the zone), to the crutch region (replicates hitting the ball down the middle of the plate), and to the front knee (replicates hitting a ball out in front of the plate). Try to set up inside a hitting cage so you can see the ball travel after you make contact. You can learn by the way the baseball travels after the point of contact. For example, if you hit the baseball on the ground or pop-up this indicates you’re pulling off the baseball. Aim to hit the ball up the middle of the batting tunnel. Make sure the ball travels with backspin and in a straight line (make sure the trajectory of the ball does not tail off at the end). Left-handed hitter — top hand is the left hand. Right-handed hitter — top hand is the right hand. In these two scenarios the top hand will more than likely be the hitter’s stronger hand. In these two scenarios the top hand will more than likely be the hitter’s weaker hand. Right-handed hitters that throw with the left hand. 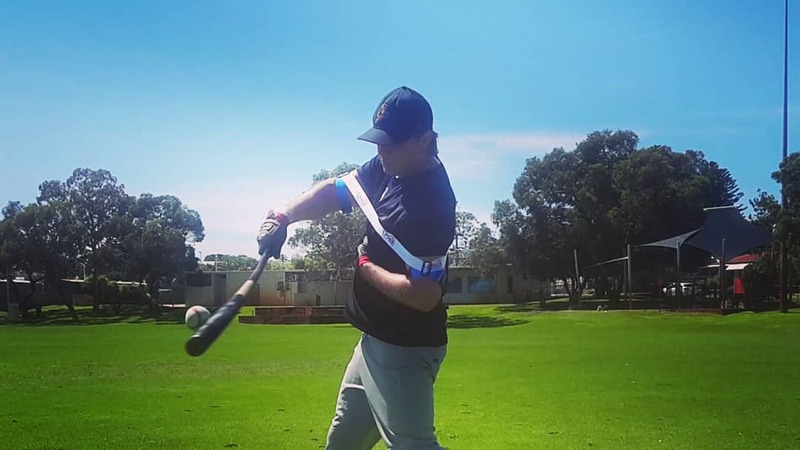 One-handed hitting drills are designed to strengthen the key hitting muscles, develop quick hands, prevent rolling over on the baseball and to help a hitter to stay closed with his front side. With a deeper contact zone the top hand acts as a bridge from your core to the ball. When you stay connected with your back elbow to your rib cage (hands inside the ball) the power generated from your core is transferred to the ball. The top hand’s role with power becomes less important with extended contact zones. Strengthens the forearm while increasing bat speed and power. Rolling the top-hand before contact is triggered by poor rotational mechanics, combined with a weak top-forearm muscle. Top-hand dominant hitters are traditionally right-hit/right-throw players have a reputation for hitting a hanging slider for power, however struggle with the pitch low and away (bottom-hand dominant pitch location). To be a complete hitter you need to practice top-hand and bottom-hand mechanics. We like to use a Mix Martial Arts (M.M.A) analogy. For example, when a M.M.A fighter’s not good at everything (ground and stand-up fighting) he’ll lose once the opponent discovers his weakness. Grip the bat a few inches from the knob of your game day bat. Place your other hand on the opposite shoulder to avoid hitting yourself with the baseball bat. 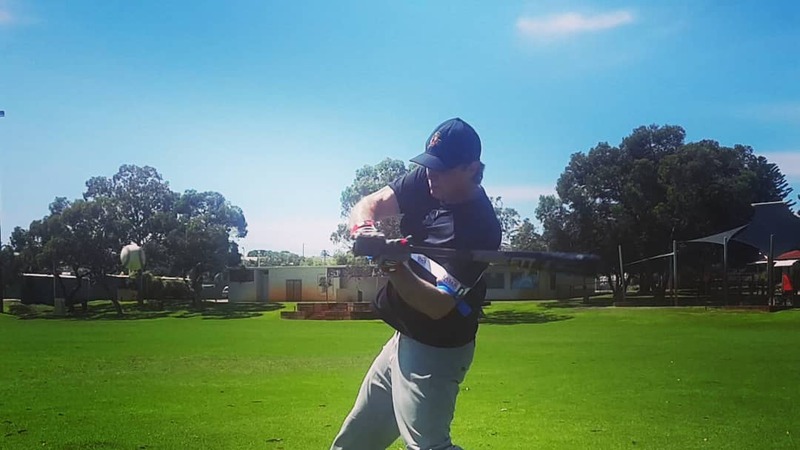 Start with the top hand as close to the hitting position as possible — this is normally somewhere beyond the back shoulder. Keep your grip nice and loose. A loose grip will provide you with more bat speed. A tense grip will slow your swing. Don’t worry about letting go of the bat if you do not grip it tight enough. Even with a loose grip your hands will naturally tense at contact. Relax your back elbow so that it is close to the body. If your back elbow is tense it slows your swing. 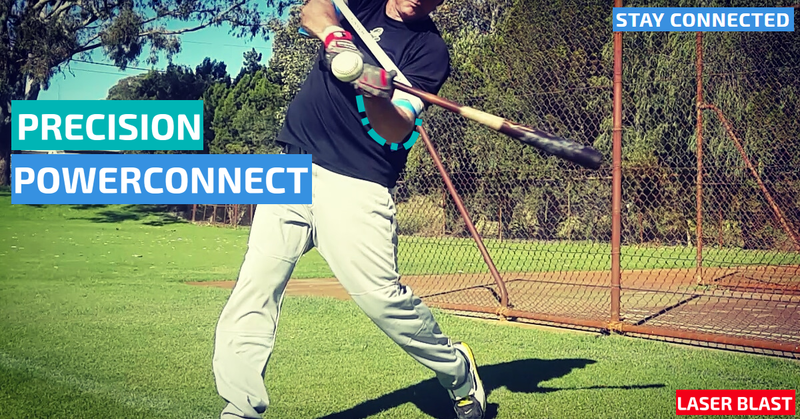 Relax your back elbow and connect it to your rib cage, this will help you to stay connected with your swing and to keep your hands inside the ball. Start your swing with a slight inward rotation of the front knee. The small in turn of your front knee gets your core ready to explode on the ball. Minimize head and eye movement for the entire swing, including the follow through. Aim to keep the bat angle as flat as possible at contact. The flatter your bat angle to more chance you’ve to hit for power. Avoid rolling your top-hand before contact as it will cause the barrel of your bat to raise and hit the top of the ball. Hitting the top of the ball will trigger a ground ball. Focus on hitting the baseball with backspin, up the middle or in the outfield gaps. Staying through the ball is one of the most difficult concepts to comprehend when hitting a baseball. The confusion stems from a general consensus that staying through the baseball comes from the upper body of your swing. This is actually false, it’s generated from your core, which allows your legs to get in the best position for power, and freeing your arms for extension. Using your core will help you to get extended and to stay through the ball after contact has been made. Bottom hand drills improve your ability to hit extended contact zones, example; low and away change up, hanging breaking ball.